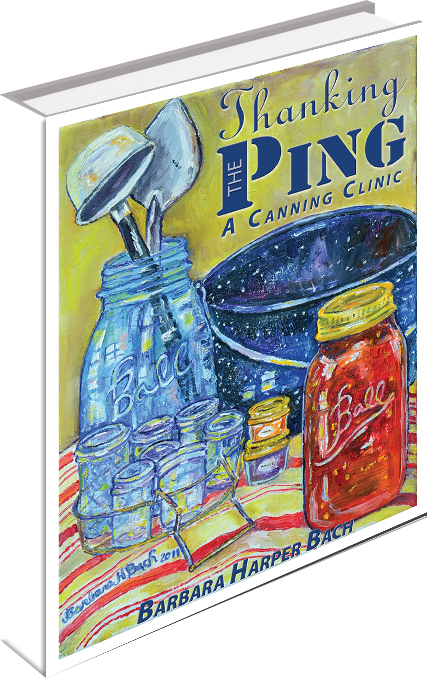 Follow Bluegrass Cooking Clinic on Facebook for photos, recipe hints and much more! 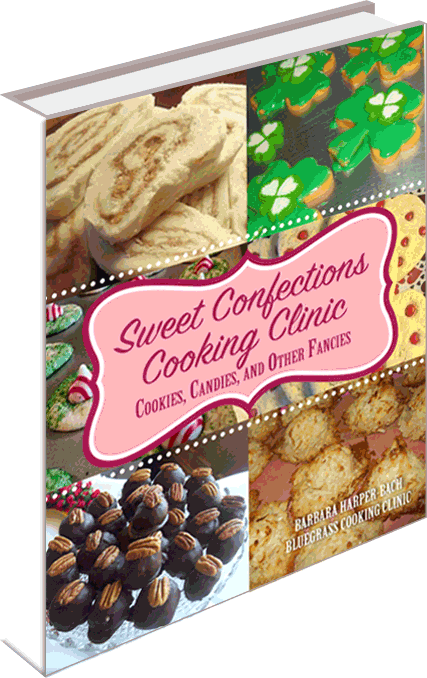 It's official, we have just completed the cover to my new cookbook, available NOW, just in time for holiday celebrations and special events for the whole year and every year after this. 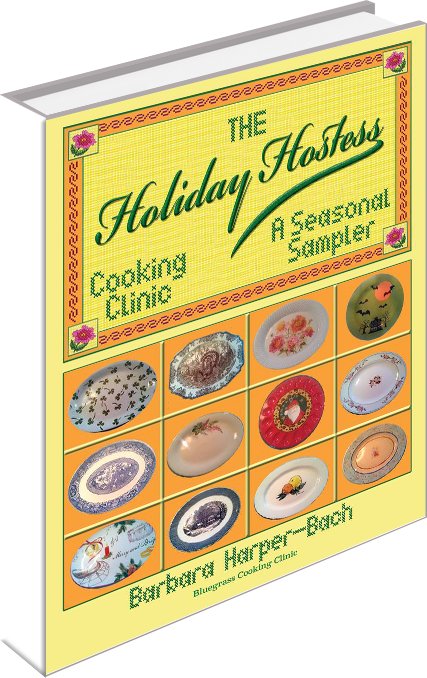 "The Holiday Hostess Cooking Clinic, A Seasonal Sampler" will include menus and recipes for each month's holidays and special occasions, including photos and illustrations galore. 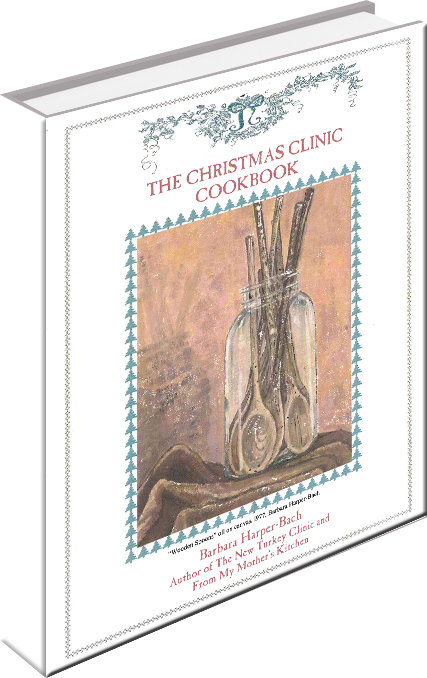 Around 300 pages. $38.00. BUY NOW! 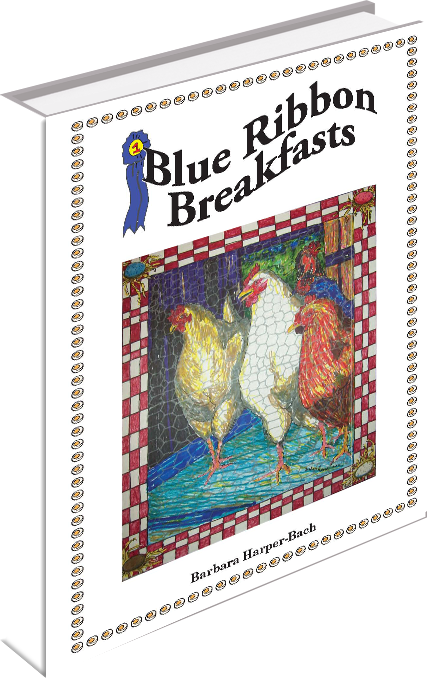 Click here if you would rather order by mail with your check! 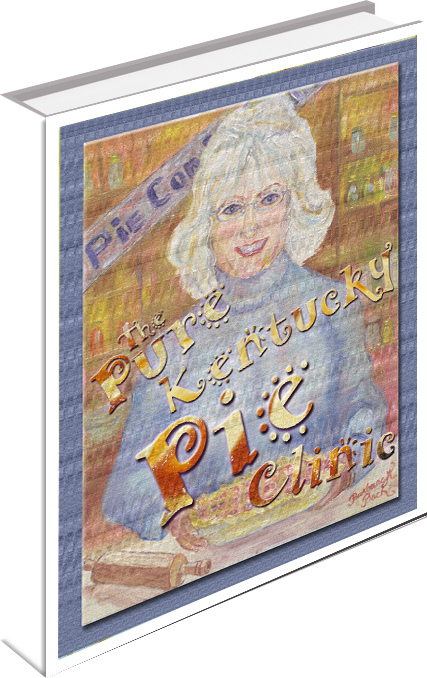 189 pages, photos, $28.00 accepted in this year’s Kentucky Book Fair as an outstanding cookbook of 2015. 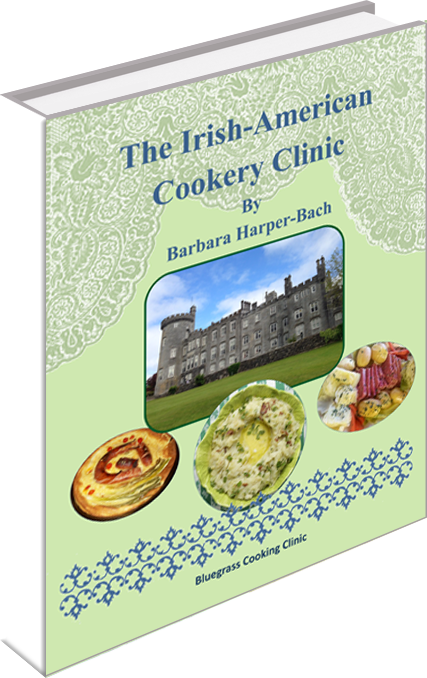 Reprinted from 2008 with photographs and some new recipes added. 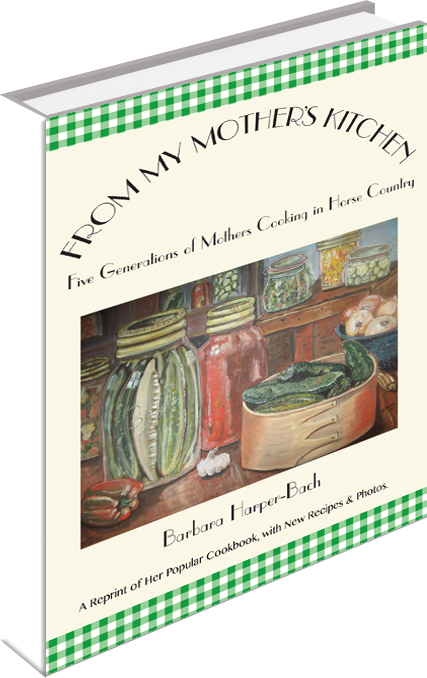 This book is a nostalgic collection of Barbara’s mother and grandmother’s best recipes including recipes from some of her friends’ moms as a bonus. 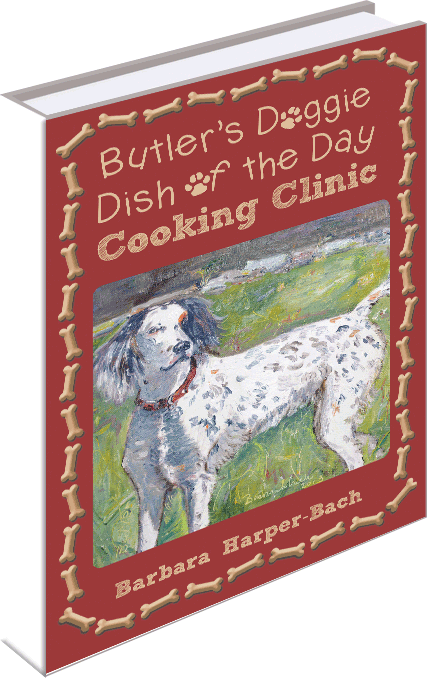 70 pages of home made main dishes and treats that don’t contain the preservatives and chemicals of commercial dog food, plus lots of photographs of the recipes. A must for the holidays for the dog owners on your Christmas list. 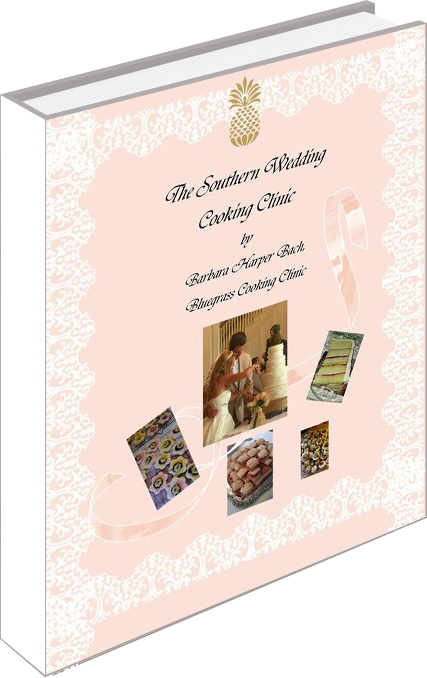 Reprinted with Photos added, 36 pages. Copyright © 2014 & beyond. 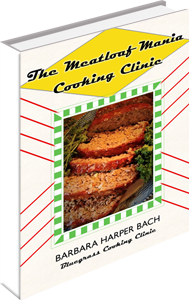 Barbara Harber-Bach, Bluegrass Cooking Clinic. All Rights Reserved.